Holy moly, it’s 2019!! 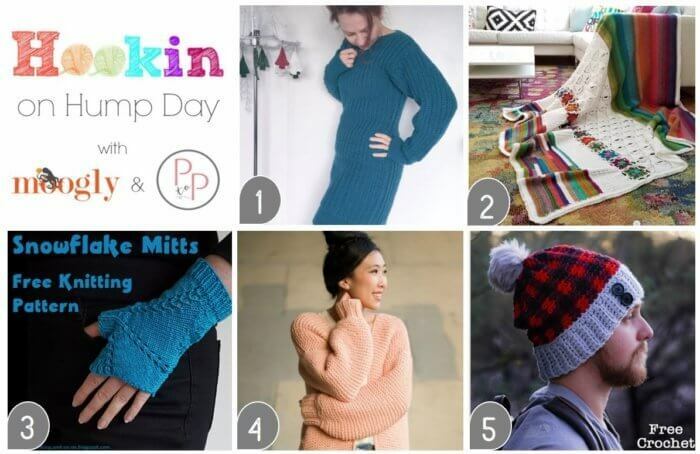 I can’t think of a better way to kick of the bloggy New Year than with a new round of Hookin on Hump Day! 1. MOST CLICKED LINK: The Winter Solstice Dress from Dora Does – Dressing up doesn’t get more comfortable than this crochet ribbed dress … pattern includes notes for customizing size. FREE crochet pattern! 2. 5th Dimension Blanket CAL from Felted Button – This gorgeous blanket is just bursting with great texture and color … work it up on your own or join in the Felted Button CAL that is kicking off now. PAID crochet pattern! 3. 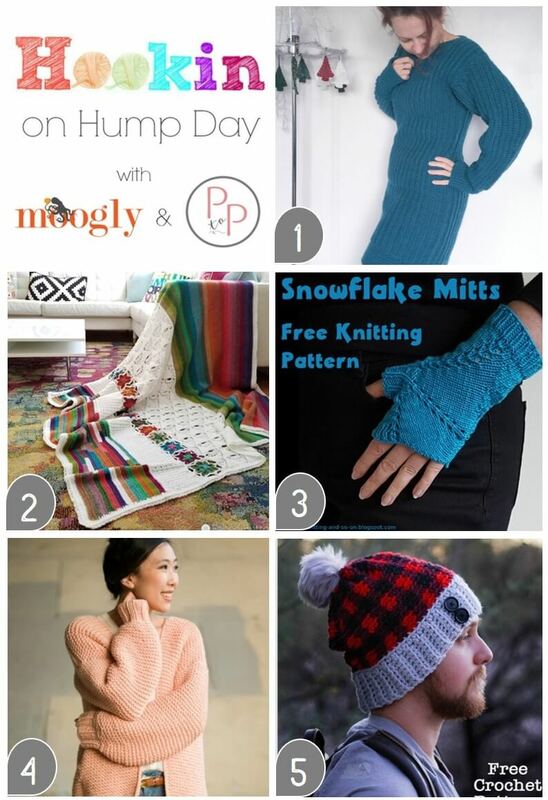 Snowflake Mitts from Knitting and So On – Beautiful mitts with great detail … FREE knitting pattern! 4. The Downtown Cardigan from All About Ami – A cozy bulky weight cardigan written for sizes XS through 4X … FREE crochet pattern! 5. Chunky Plaid Beanie from Winding Road Crochet – Plaid is so hot right now … stay on trend with this plaid beanie. Pattern includes sizes Child through Adult … FREE crochet pattern! This is so nice! Thank you both for being so generous to host this link up party! Hello! Thank you for taking the time to host such a fun link up! I hope you had a great holiday season! Looking for to sharing stitchy fun with you in 2019!